The English-language editorial, published on Tuesday, adheres to the practice of calling out foreign “intervention”, saying the detention of dozens of lawyers and their employees is an internal affair. “Specifically, taking away lawyers from Beijing Fengrui Law Firm should serve to increase understanding among Chinese lawyers and promote China’s rule of law as much as possible. This carries more significance than mulling about [sic] a response to a US rebuke,” the editorial said. The US State Department issued a statement on Sunday expressing concern about the crackdown. 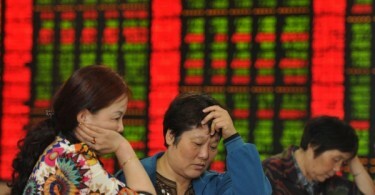 The statement urged China to release the detainees and respect the rights of its citizens. 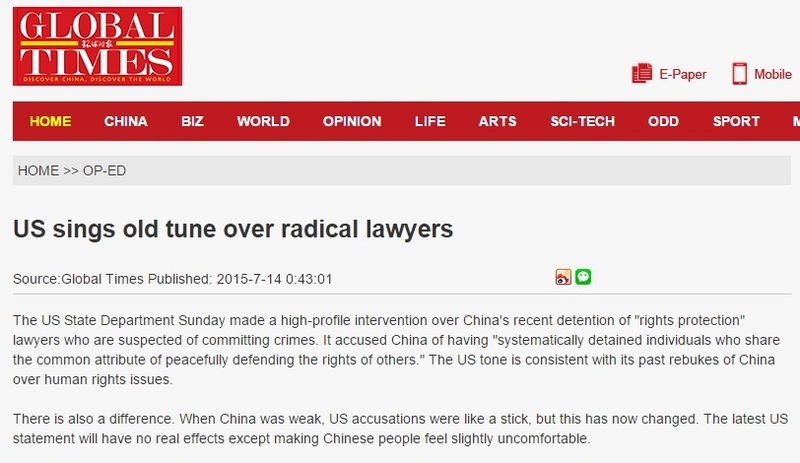 Global Times insists the detentions are legal. “Open and fair trials” will justify police actions, the newspaper said. The editorial also blasts groups in Taiwan and Hong Kong who have criticised the detentions. 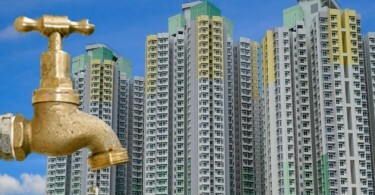 “Those voices are rather repellent to the Chinese mainland public. Actually, many in the mainland hold the view that if people receive support from external forces, it means they are not really decent,” it said. State news agency Xinhua also joined the offensive, attacking western media for reports that are sympathetic towards the lawyers. “When the police detained the lawyers who initiated this sordid chain of events, they were faced by the absurd spectacle of western media loudly supporting these stalwart ‘defenders of human rights’ who seem to be nothing more than self-serving self-publicists with nothing at heart but their own fame,” Xinhua said in a commentary on Tuesday. Multiple human rights organisations including Amnesty International have condemned the detention of lawyers and human rights activists. 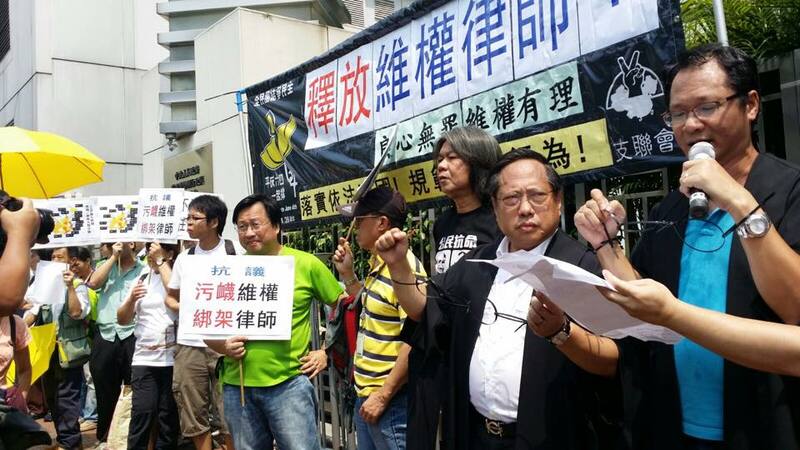 Hong Kong lawyers and activists went to the China Liaison Office to protest the crackdown over the weekend. According to a list compiled by the China Human Rights Lawyers Concern Group, a Hong Kong-based NGO which keeps close contact with human rights lawyers in China, 143 people have been detained, questioned or put under other forms of freedom restriction as of 9:30am Tuesday.